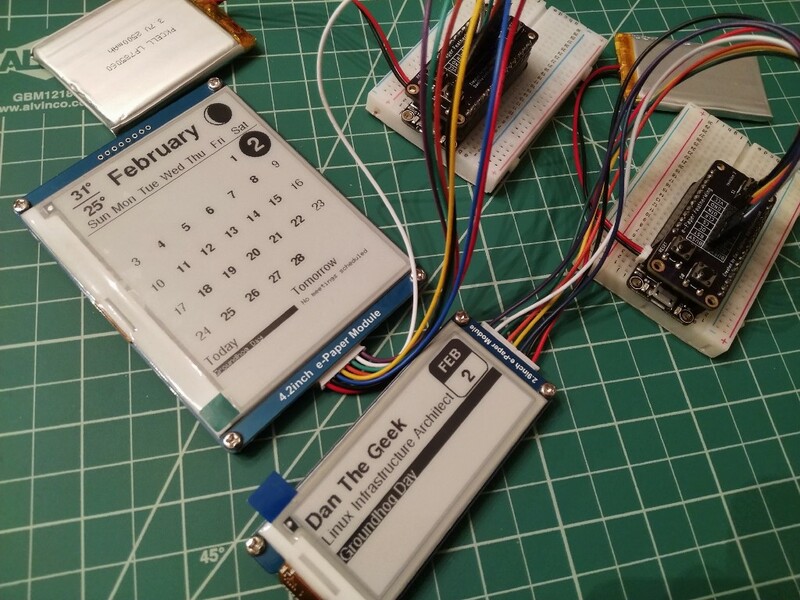 Dan the Geek (Dan Cogliano) was looking to build a few projects centered on interfacing with ePaper displays using Adafruit’s HUZZAH 32 and 8266 breakout boards and ended up designing an IoT Calendar using Waveshare displays. He quickly ran into a problem as the Waveshare platform requires eight wires that need to be soldered to the HUZZAH for the SPI interface and power pins. Add to that a handful of buttons (reset, wake, etc. ), and the problem of space becomes compounded. Rather than going the Proto FeatherWing route, he decided to design his own PCB utilizing all through-hole components, along with the ability to be built using only male headers or add buttons for increased functionality, and to be soldered under or on top of the HUZZAH board. 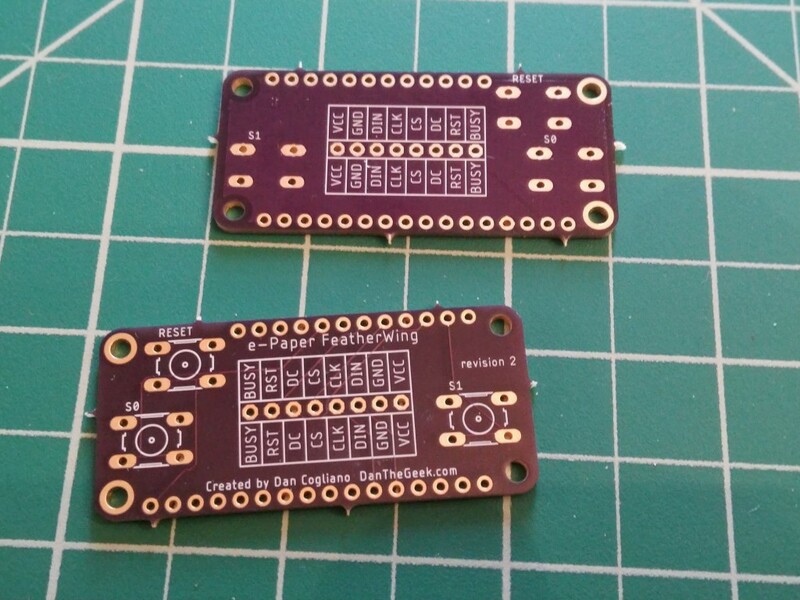 Cogliano was able to map out the Waveshare display pins for both the ESP32 and ESP8266 boards, making his PCB compatible with both. With his custom FeatherWing complete, Cogliano was able to bridge a Waveshare 4.2 ePaper display module with a HUZZAH 32 board (with stacking headers) without issue. After creating some custom code to display the calendar, temperature, events, and moon phases, his build was complete. A complete walkthrough of Cogliano’s IoT Calendar, complete with schematics, can be found on his project page (code is still under development). He is also offering the ePaper FeatherWing on Tindie ($8), for those interested in making your own ePaper display projects. Bridge the Gap Between HUZZAH Boards and ePaper with This FeatherWing was originally published in Hackster Blog on Medium, where people are continuing the conversation by highlighting and responding to this story.